High cost of living has been an issue in which many Papua New Guineans face. 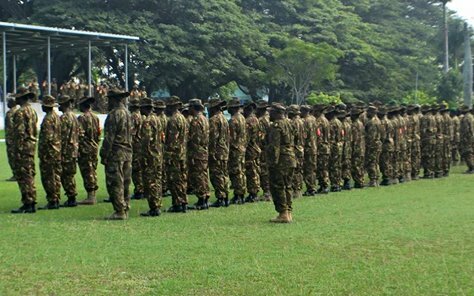 This was revealed by PNGDF Commander Gilbert Toropo. This has been the case of the PNGDF also in which the Commander stressed on points the institution is doing to address this issue. It has a greatly impact on the livelihood of the service personnel and their families. He said their service review submission cannot be implemented due to the financial situation the national government encountered. But he gave the assurance to his service personnel that it would be implement once the economy improves. He said it is the welcome news for the men and women serving in the force.